A list of predefined Form Templates is available for you. Initially, there will be Blank Form and Post Form. 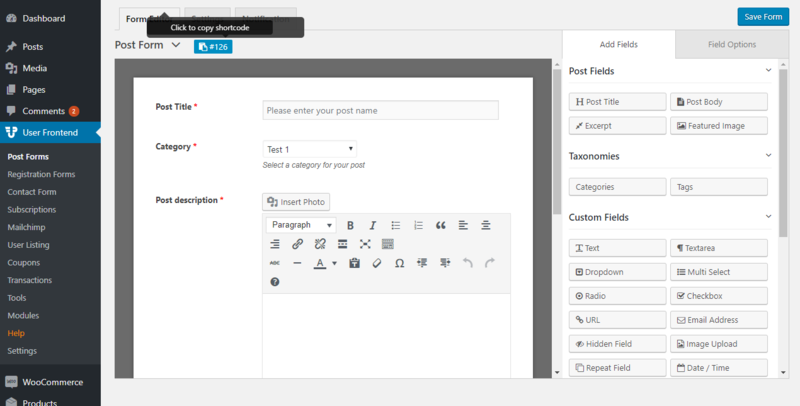 You can create predefined Post Form by clicking on the template. It will generate a form for you. If you have WooCommerce installed, then another template will be enabled titled “WooCommerce Product”. 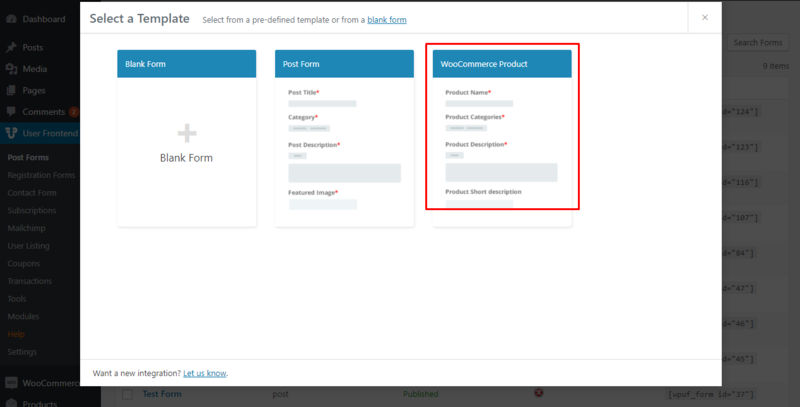 By clicking on WooCommerce Product, you can easily create a product form. 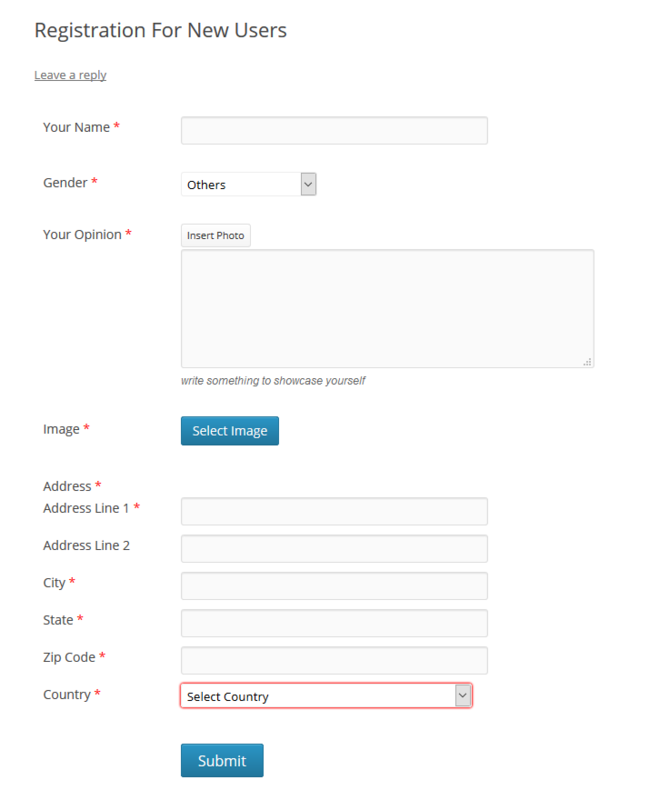 You can also create a blank form, which can be configured manually according to your requirement. For this, click on Blank Form template. Now, Give the form a title. Try relevant names like- WooCommerce Product Posting, Restaurant Listing etc. Post title and Post Body element is placed there by default. Only the post title field is mandatory. So you can keep or remove the post body field if you want. You can add category and tags fields for your users to use. If you do not use the category field in your form, then the post will be listed under “uncategorized”. 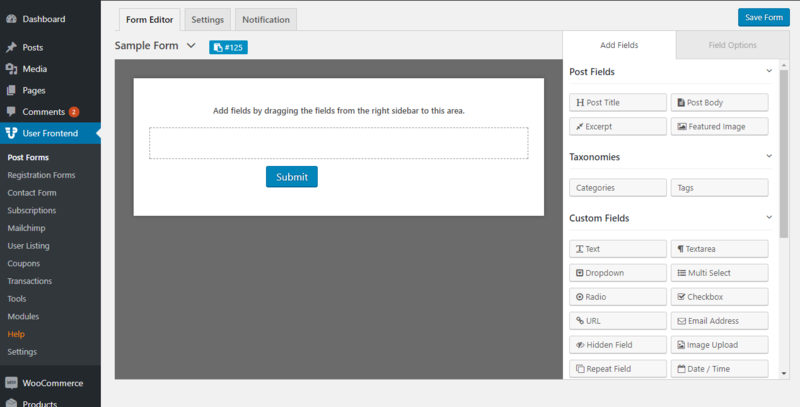 Or you can set a default category for each form from the post settings tab in the form. If you need custom fields, then you can add those with proper meta keys. For more details about custom fields and meta keys, please refer to our tutorials section. When you are done building your form, hit save. On the right side of the post creation screen, you will see the shortcode. If you can not, then head over to the forms listing page. 1. 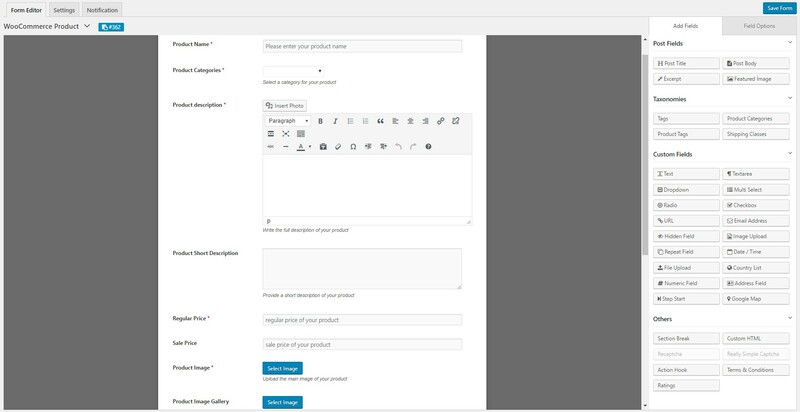 You can copy the shortcode of your newly created form directly from the form builder. Just click on the shortcode which is placed above the form. It will automatically copy the shortcode to your clipboard. 2. You can also copy the shortcode from the right side of the form or the forms listing page. 2. 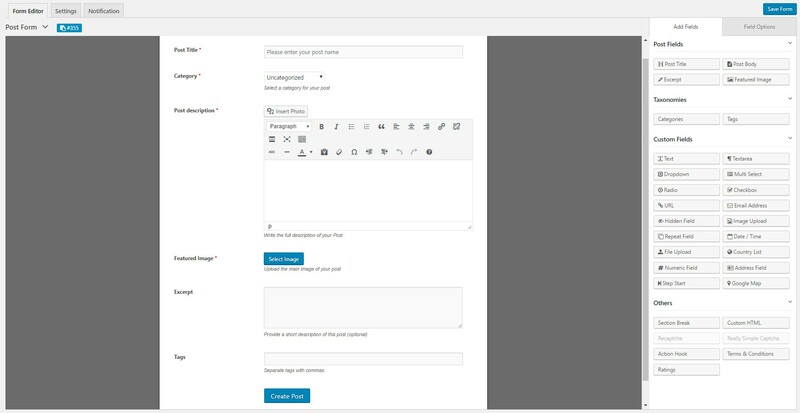 Create a new page or paste if you already have a page to embed the form. 3. Save and publish the page and view from frontend to see if the form is showing right.